Doucet Machineries for its ALYX Clamp Carrier Automatic Loader. Designed for rapid production environments, the automatic system offers a complete cycle time for gluing and loading of 80 seconds or less with one operator. Eagle Machinery & Supply Inc./Wood Eye for its EagleEye TalonVision Saw. The sharp vision system allows for optimization scanning as well as cutting all in one machine. Fasco America for its LignoLoc Collated Wood Nails. These fasteners are designed to provide holding power and tensile strength similar to aluminum nails without the complications like rust and streaking. Felder Group U.S.A. for its Format-4 creator 950 CNC machining center. Offering CNC technology in a compact footprint of 54 sq. 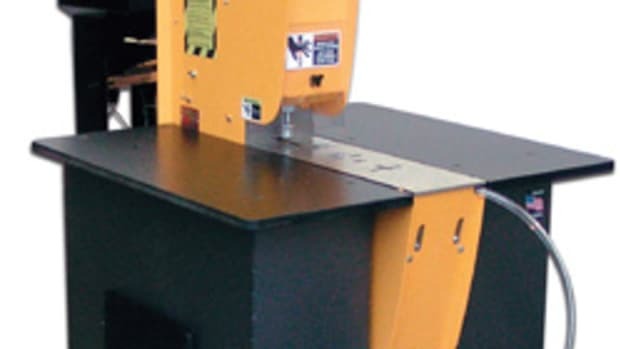 ft., the machine is offered in a variety of configurations to accommodate specific shop needs. While it machines panels horizontally for easy infeed, it is built in a vertical format. RSA Solutions for its Production Coach manufacturing execution system. The modular software uses a centralized database to connect both office and factory to real time data. SCM for its Router with HE-POD Technology Morbidelli p200. This universal machining center was created to satisfy all routing, edgebanding and drilling needs, says the company. With its 3D Worktable HE-PODS, it can lift work pieces in order to get a best use of the worktable dimensions and to work multiple parts with single positioning. Shaper for its Origin. This handheld, portable CNC looks very similar to a handheld router, but is ready to create wherever you are because it can be brought to the material rather than the material to the machine. Featuring a wide range of built-in applications with CAD capabilities, it has the ability to auto-correct and keep you within 1/100th of an inch of your intended path. 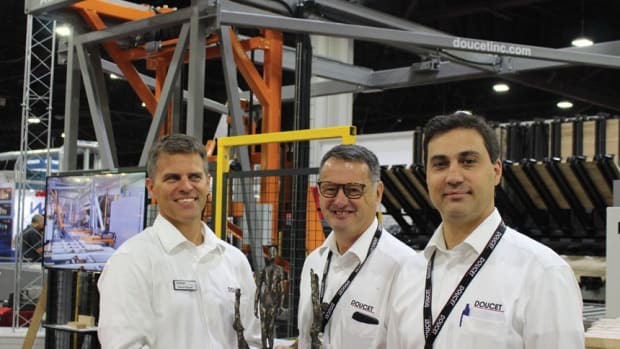 Seven exhibitors – Doucet Machineries, Eagle Machinery, Fasco America, Felder Group, RSA Solutions, SCM and Shaper – received Challengers Awards at IWF 2018.